Lovely take on the sketch challenge. Thank you for joining us at Scrap Our Stash. Fabulous layout. 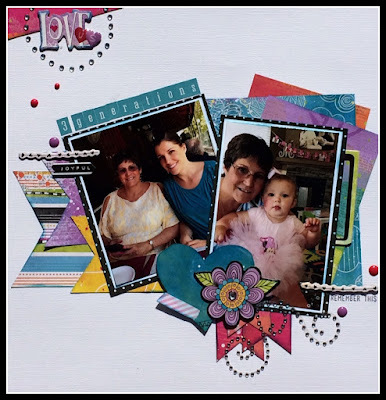 Love the bright colors and how you did your layers and embellishing! Thanks for taking the challenge at SOS!! Love your page Stacy! You rocked the challenge as well as the kit from The ScrapRoom! Thank you for playing along with Scrap Our Stash!